WinRAR is an 32/64 bit Windows version of archive manager developed by RARLab to decompress RAR, ZIP and other files and to create new archives in RAR and ZIP file format. With an intuitive and streamlined interface, this program offers a full set of features such as create self-extracting archives, repair physically damaged files, and protects compressed files with a password using a 256-bit AES encryption algorithm. To be short, WinRAR is an efficient compression/decompression utility with advanced features, and it gains most users’ recognition. But this program is not offered for free, so after 40 days of trial, you need to purchase a license to continue using it. And it seems to display ad banners or other types of advertising material during its runtime. Besides, the non-official installer may be bundled with other third-party software that slow down your PC. Wanna uninstall WinRAR now? Users may come across many problems when uninstalling WinRAR, for instance, WinRAR does not show up in Add/Remove Program applet, some of its components cannot be deleted totally, or it still runs in the background after a normal uninstall. 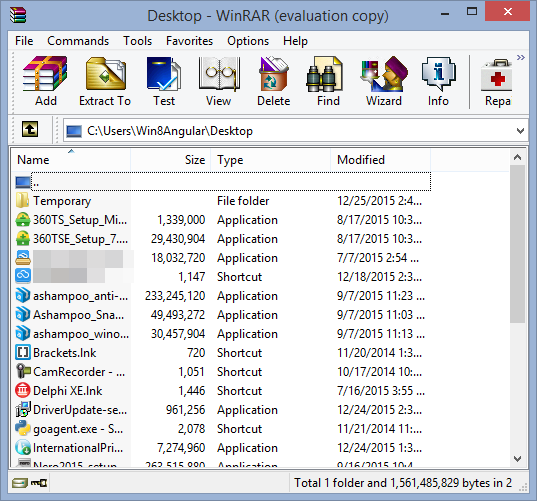 In this guide we will present solutions to help you uninstall WinRAR. PrimoPDF is a free PDF creator developed by Nitro PDF Software to convert any type of printable document into a standard PDF file with only a few clicks, and the format of created file can be as faithful as the original one. Once installed, PrimoPDF appears as a virtual printer in your printer preferences, and it allows users to set up password and permissions on the PDF files. 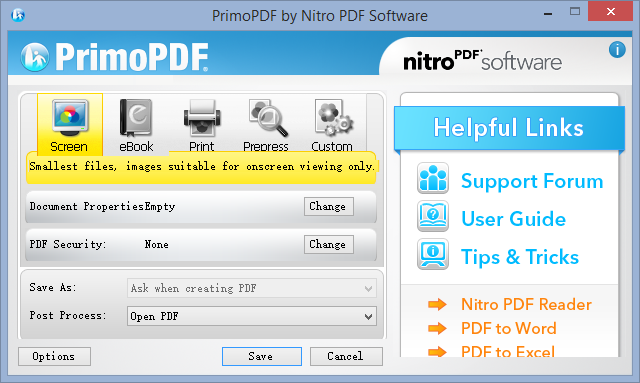 On the other hand, though PrimoPDF will not have pop-up ads in the usage, it does recommend other Nitro products to the user in the program window. Moreover, many users reported that it is bundled with other third-party programs, for instance, the adware Open Candy that is suspected to change the Internet settings and quite hard to get rid of. Maybe that is why users wanna uninstall PrimoPDF without hesitation even if it is a useful tool. Anyway, no matter for what reason you wanna uninstall PrimoPDF, you may be stuck in unexpected issues, or even have no clue how to properly uninstall this program. If you happen to encounter any trouble in uninstalling PrimoPDF, read on this post to solve it now. First of all you can employ the conventional means demonstrated below to uninstall PrimoPDF manually, or else you can also try removal solution 2- uninstall PrimoPDF automatically to save time in getting rid of any unwanted program. 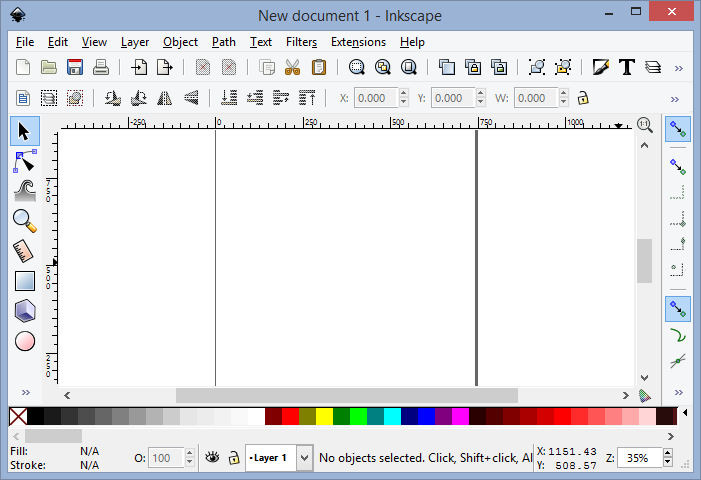 Inkscape is a free, open-source and SVG-based editor that can be used to create or edit vector graphics such as illustrations, diagrams, line arts, charts, logos and complex paintings. The program has an organized and fairly intuitive interface, and it comes with a powerful set of tools for drawing and editing graphic objects, including markers, gradients, shapes, paths, clones, alpha blending and more. Moreover, users can unleash their creativity in graphic editing with a wide range of available filters and extensions. To be honest, Inkscape is an impressive and competitive product on the vector graphics sector (and yes, it is totally free). Even so, it cannot satisfy all level users’ needs, and people may try to uninstall it for personal reasons. If Inkscape does not work as you expect, then how to get rid of it properly? Have you run into any problem when removing it from Control Panel? And how about the program leftovers after a conventional uninstall? Will you be able to wipe them off from your system? If you are upset by the uninstall issues of Inkscape, you’ve come to the right place. Now read through this tutorial and learn some tips about how to uninstall unwanted program without hassle. Here we will show you two removal ways and you can employ either of them to fully uninstall Inkscape. Let’s begin now. 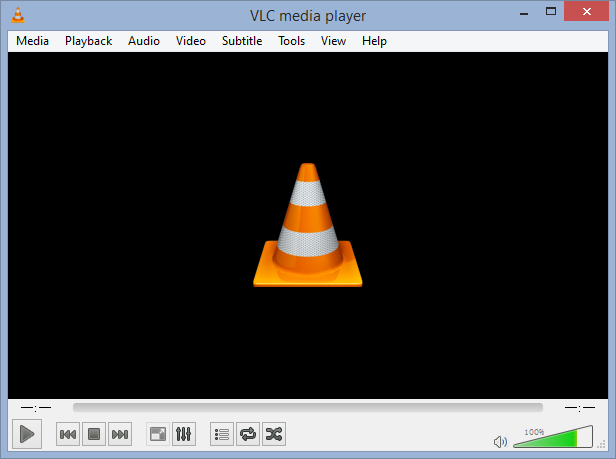 VLC Media Player is a lightweight, open-source and cross-platform multimedia player and streaming media server written by the VideoLAN Project. This software claims to be completely free, no spyware, no ads and no user tracking. It supports many audio and video compression methods and file formats, including DVD-Video, video CD and streaming protocols. With the intuitive interface, it can also stream media over computer networks and transcode multimedia files. All those features enforce VLC Media Player’s position at the top of the free media players. Many users get into trouble when uninstalling VLC Media Player from the computer, and the problems come like that: VLC Media Player does not appear in the program list of Add/ Remove Programs; unknown error pops up to interrupt the uninstall process; the associated files left in registry or hard drive cannot be completely removed… So what is the proper way to uninstall VLC Media Player? And how to remove all the leftovers without hassle? Read on this post to find the answers. 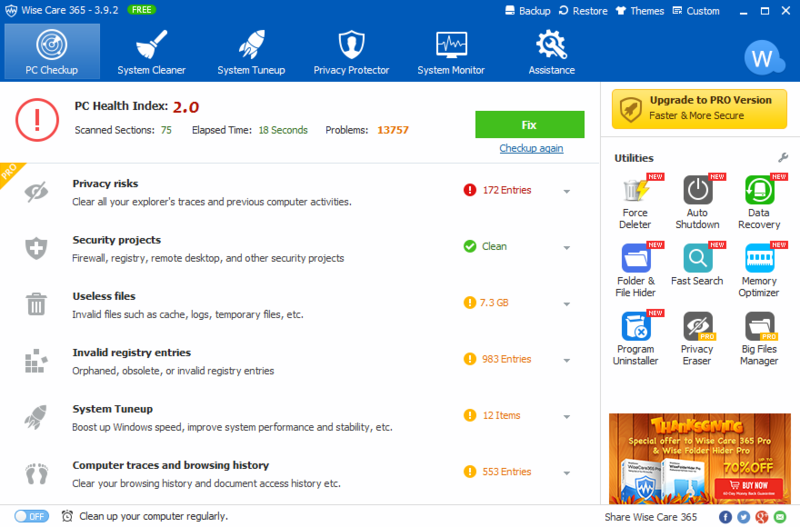 Wise Care 365 is a PC optimization suite that help users to fix system errors, clean junk files and maintain computer performance. With a bundle of tools like registry cleaner, program uninstaller and memory optimizer, it claims to allow Windows system to run faster and freeing up more valuable hard disk space in seconds. Though this product did provide a lot of tweaks that make for a cleaner, more convenient PC experience, the CNET editor also pointed out that “most machine slowdowns have other root causes that Wise Care 365 is ill-equipped to handle”. No matter for what reasons you wanna uninstall this program, this tutorial will guide you through the whole removal process. So how to uninstall Wise Care 365 properly? As an impressive product of ThreatTrack Security, VIPRE Antivirus claims to be a small-footprint antivirus software that protects against identity thieves, spammers, hackers and cybercriminals without impacting computer performance. With an extensive list of features, this application is capable of preventing prevalent malware, identifying websites known to infect computer with virus and removing spyware, rootkits, bots as well as Trojans. Nevertheless, it also received some negative user reviews, such as the annoying alerts pop up constantly to interrupt user’s activities, the websites that users used to visit are blocked falsely, and it is not quite good at stopping brand-new threats. Anyway, users may try to uninstall VIPRE Antivirus for personal reasons, and if you have any trouble in get rid of this program, read this post to learn the proper ways of uninstalling unwanted program. Wanna uninstall it as quickly as possible? 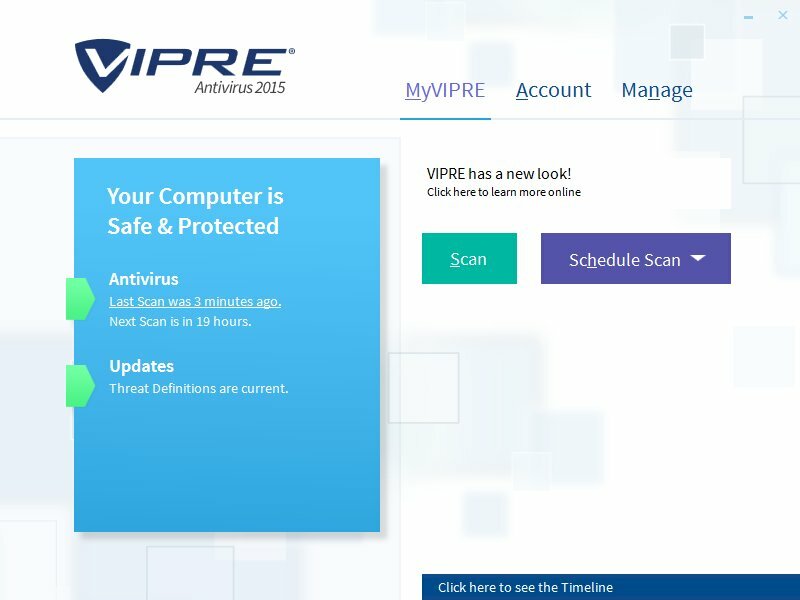 See: Recommendede Approach – Remove VIPRE Antivirus with Max Uninstaller.